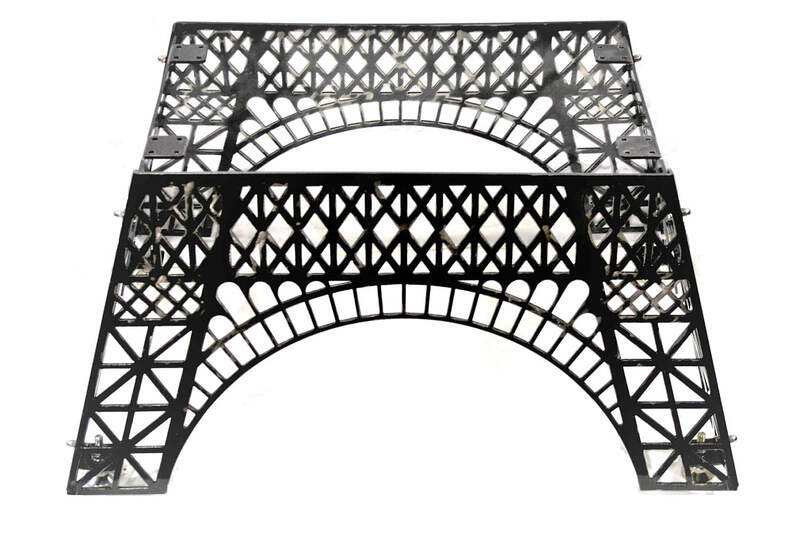 Polished aluminum coffee table with Eiffel tower steel base is truly a one of a kind piece of art! 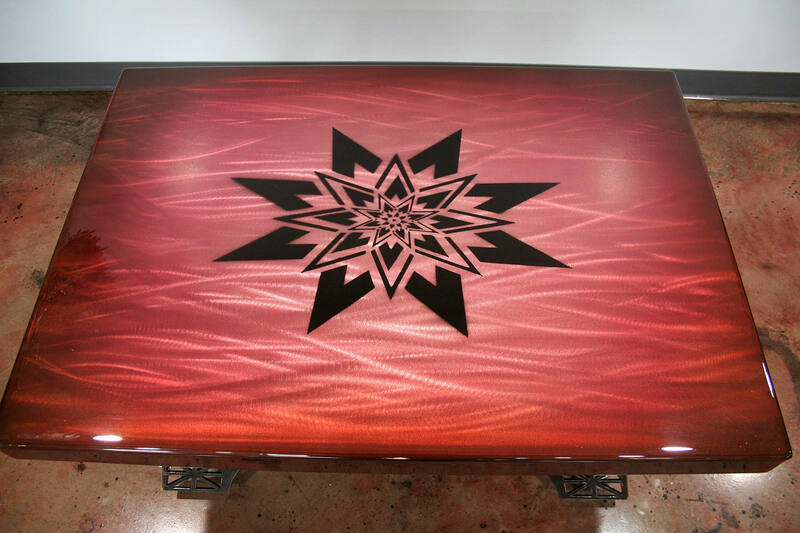 The top of this beautiful coffee table is polished aluminum with a custom airbrushed color design. You won't be able to stop staring at how the light dances off of it. 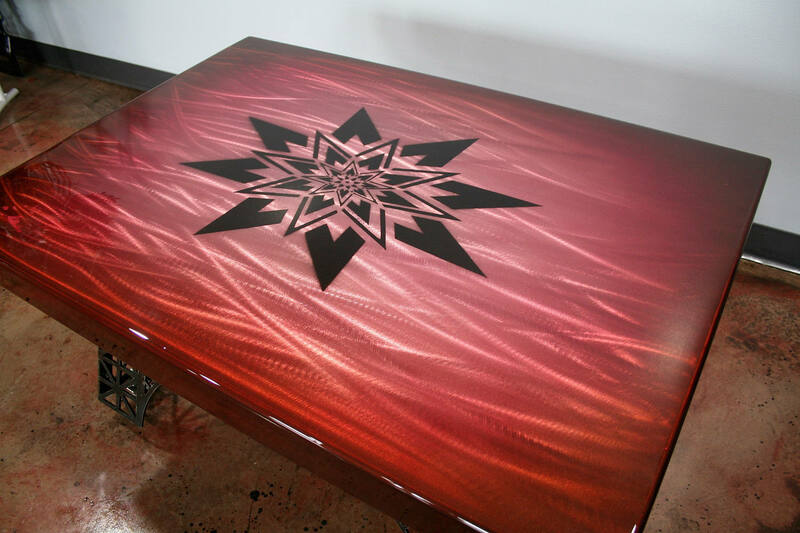 The table is coated with crystal clear epoxy for a glossy, gorgeous finish. It's scratch resistant and durable. So this is not only a stunning work of art, but it's also a functional piece of your living room. The table base is cut from thick, sturdy steel for a modern industrial look. Self-leveling feet allow your table to adjust to any surface and protect your floors from scratches. The colors on the top of this table are faded from center to edges. The rich color tones complement nearly any decor. You can confidently add it to your modern, industrial or casual living room! The steel table base consists of 4 pieces bolted together. Each piece is coated with durable clear powder coat for a glossy, gorgeous finish. It's scratch resistant and durable. Living room furniture made to be lived on! Table legs and top will ship in flat pieces. Simple bolt-together assembly required upon arrival. Overall size of finished table is 42" long, 30" wide and 20" tall. 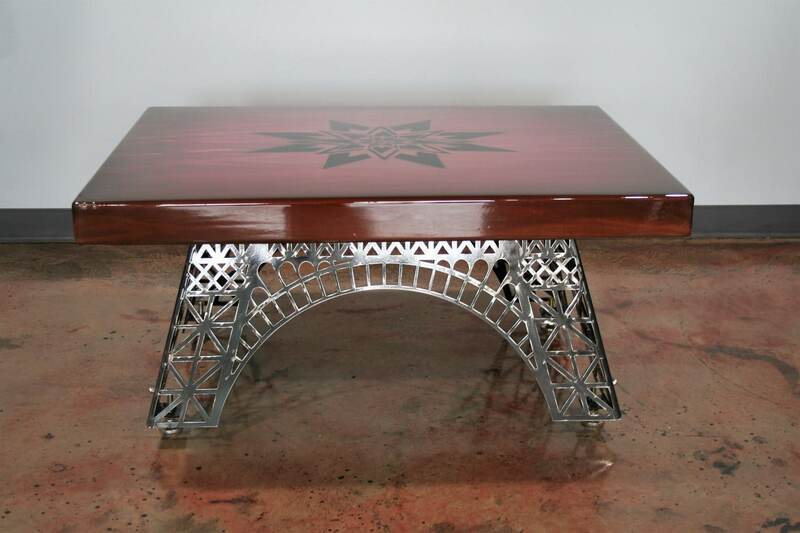 Many classic and modern steel and aluminum designs will be available in our new furniture line. Please contact us if you'd like to discuss a custom piece! 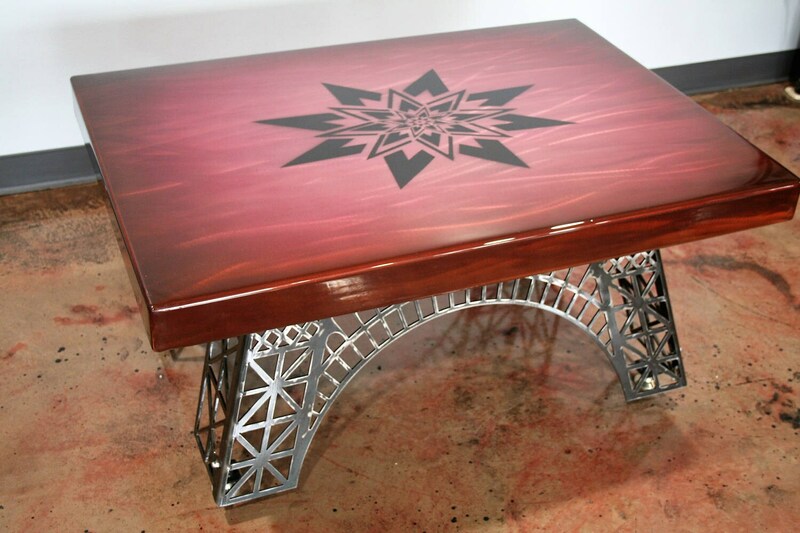 This beautiful coffee table is ready to ship! Add to your cart to make it yours today!